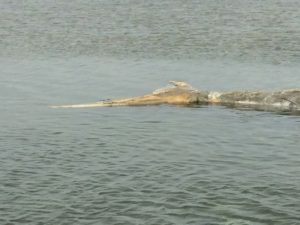 Dead Whale to be removed from EGP! 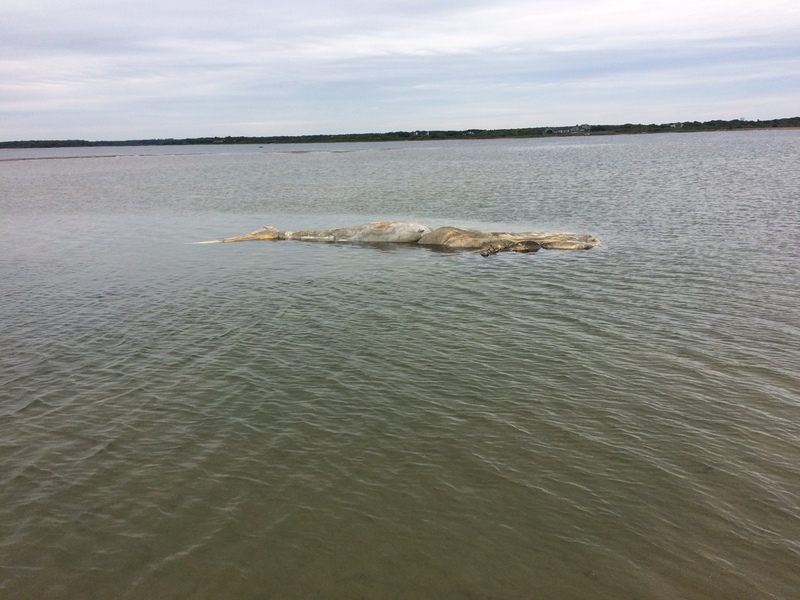 Thanks to all of our neighbors for the reports of the whale carcass that washed up on the barrier beach west of the Edgartown Great Pond cut. 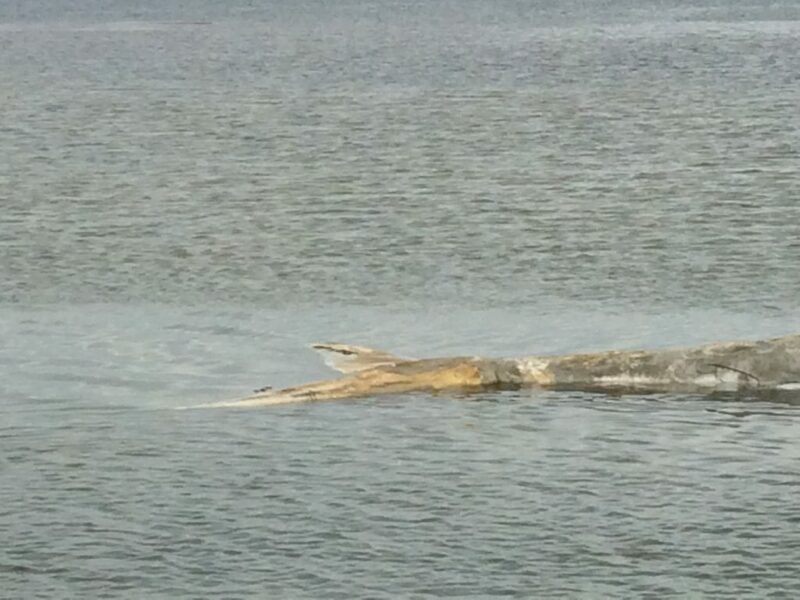 The ealierst reports we received were that it washed up on the beach as of Sunday. It has since been washed into the opening of the Pond, where it currently remains. NOAA, IFAW, and the various Edgartown departments have been contacted. 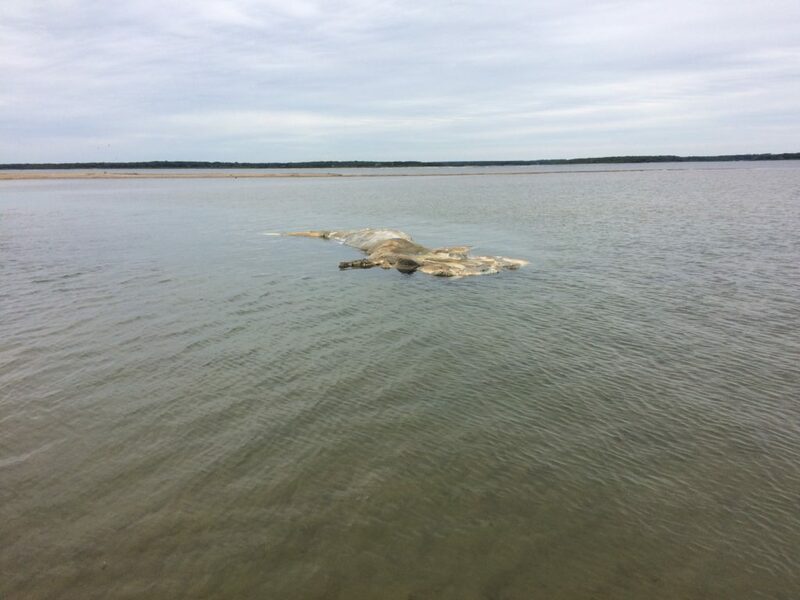 Today, Edgartown Selectman approved the town removal of the dead whale from Edgartown Great Pond. The decomposing whale floating in “the cut” of EGP. Please remember that marine mammals, live or dead, are both fascinating and dangerous. Please keep a safe distance and report animals in distress to the proper authorities. According to IFAW, NOAA is the appropriate agency to contact for the Martha’s Vineyard area. NOAA can be reached at 866.755.6622.